Meet the people behind this setup. Below you can read more about the pillars of the company. Adrian Sciberras, FCCA, MIA, CPA, LL.B.(Hons.)(Melit. ), founder and Director of Admin Genie Ltd, is a certified public accountant and business consultant, who is also in the process of practicing the profession of an advocate. Adrian brings over years of experience in the accountancy field and in helping clients achieve business success by helping them establish practical and sound tax and financial processes. As Chief Executive Officer of Accounting Services Ltd and business partner of Fairwinds Management Limited and A+A Assurance Services Ltd, Adrian is an all-rounder in the financial sector. He gained his Accounting degree in 2003 whilst working in the private sector and then moved onto setting up his own businesses in 2009. Later in 2018, he graduated in law with an LL.B.(Hons)(Melit.). Following this, he is now pursuing the Master of Advocacy degree. Throughout the years, he has gained extensive accounting services experience and expertise in individual, corporate, partnerships, auditing and tax reports. In addition, Adrian has expertise in company management and administration, international corporate structures and business consulting. His experiences go beyond the local scene due to his various business connections in Italy and especially in Libya, where Adrian served as a bridge to create business setups between the countries. 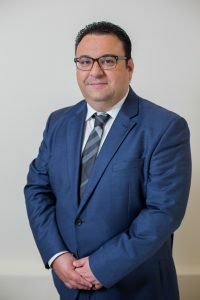 Adrian is a fellow member of Association of Chartered Certified Accountants (ACCA) in the UK and speaks fluently Maltese, English, and Italian. Throughout his career, Adrian continues showing a long-term commitment to professionalism and ethics. Charlene Sciberras is one of the Directors of the company. Charlene brings along years of experience in the marketing and corporate administration sectors. 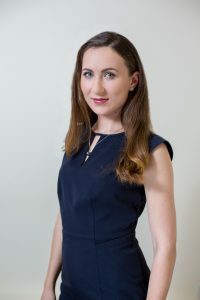 Graduated from the University of Malta with a Bachelor of Arts (Honours), Charlene started her career within the marketing department of a US-owned software company in Malta. In her role, she was responsible for various marketing activities running in the EMEA region, mainly managing online events, conferences and tradeshows, merchandising and campaigns. 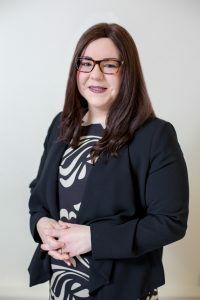 Throughout the past years, Charlene’s role evolved through new commitments in the corporate administration sector, being involved in setting up structures and marketing activities for a group of companies focusing on company incorporations, accountancy, and administration, whilst also starting up and running her own marketing and business assistance agency. Charlene describes herself as an ambitious, determined and a hard working professional individual with strong organizational and coordination skills. With the ability to plan ahead and meet deadlines, she is efficient, proactive, reliable and with a flair for dealing with customers, suppliers and other business contacts in a professional manner. Charlene Sciberras speaks fluently Maltese, English, Italian, French and has an elementary knowledge of Spanish and Arabic languages. Olga Mifsud comes along with years of experience in the hospitality industry and administration sector. Olga graduated with a Higher National Diploma in Hospitality Management in 2012 from Institute of Tourism Studies in Malta. She gained her experience in customer service, business communication and account handling through working in high-end properties of international hotel brands, some of which are Starwood Hotels and the Corinthia Group. In addition to her administrative skills, her strong skills include researching, planning, and coordinating. Olga speaks fluently in English and Russian. Rebecca Gatt is a Virtual Administrative Assistant at Admin Genie Ltd. She graduated with a Higher National Certificate in IT from the Malta College of Arts Science and Technology. Following her studies she started working with Adrian and Charlene Sciberras in the retail industry gaining administration, supervisory and customer-orientation skills that allowed her to move to grow professionally and move to an office environment. Infact, she then started working as a Receptionist at Accounting Services Ltd, another company that falls under Business Concept International plc and later on, moved into a more complete office role, that of a Virtual Administrative Assistant at Admin Genie Ltd, a position that she has been fulfilling successfully for the past years thanks to her strong organisational skills. A major part of Rebecca’s work is dealing with local and foreign clients, assisting them in anything related to administration services. Rebecca speaks fluently Maltese and English and has also basic working knowledge of the Italian and French languages.